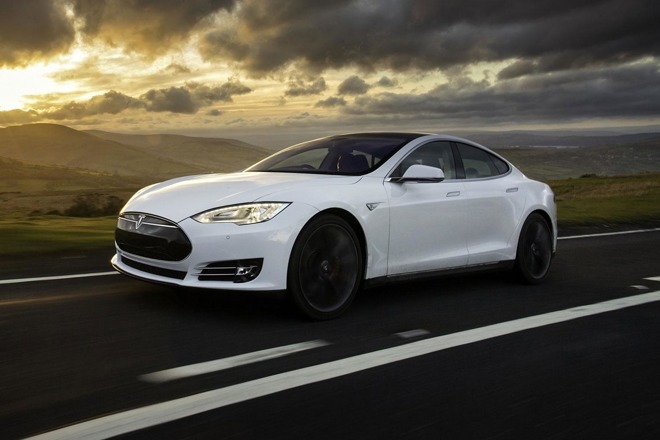 "Please note that using a self-driving Tesla for car sharing and ride hailing for friends and family is fine, but doing so for revenue purposes will only be permissible on the Tesla Network, details of which will be released next year," Tesla said in a disclaimer about its Model S line, which can now be bought with the hardware —though not the software —for full self-driving capabilities. The text was highlighted by Reuters. CEO Elon Musk teased a ridesharing service in July as a part of new corporate plans. Until now, though, Tesla has mentioned extremely little, beyond the fact that people would be able to add their cars to a Tesla fleet via a phone app. In cities where there aren't many Teslas on the road, the automaker said it plans to offer ride hailing on its own. The company may be poised to offer competition for firms like Uber and Lyft, though it would likely have to run many vehicles itself to pose a competitive threat. Apple could theoretically go in the same direction with its own rumored car, but the fate of that project is in the air. While engineers are still believed to be developing self-driving systems, the company is reportedly waiting until late 2017 to decide whether it wants to build its own car or partner with an existing manufacturer. Tesla is meanwhile making rapid progress in autonomous systems. The Model S already has limited driving assists in its "Autopilot" technology, and next year the company is hoping to have a test vehicle drive itself cross-country from Los Angeles to New York. Full autonomy will only come to the public in stages, dependent not just on AI improvements but clearing legal barriers.